Ohm Property’s comprehensive, fully custom website is one of the more amazing realtor website projects Line49 has been involved with. 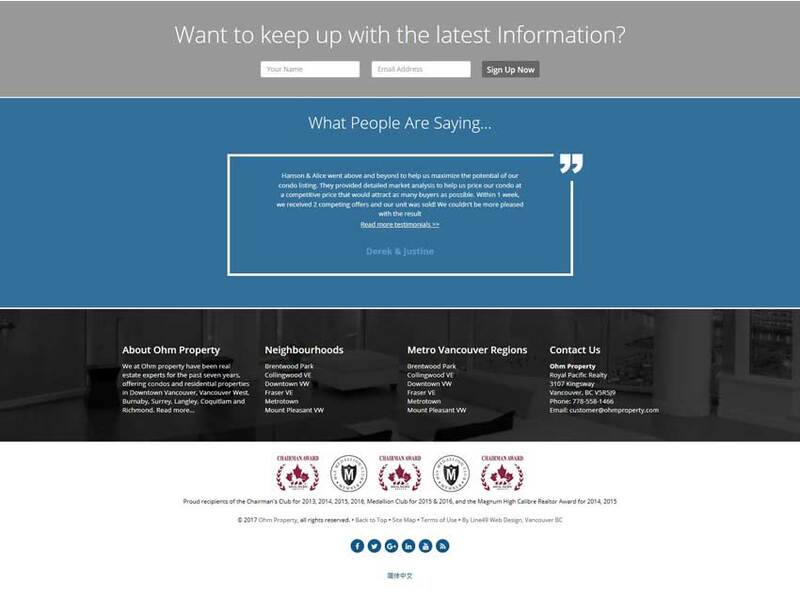 This website’s elegant design theme is expressed smartly in a comprehensive home page layout. The logo is specially rendered in a header layout that complements the main “hero” image, and is unique to the home page. The hero is followed by numerous page sections, featuring attractive iconography, an impressively large grid of featured condo buildings, and tidy grids of property listings and useful information. In the footer, a carousel walks through numerous client testimonials. 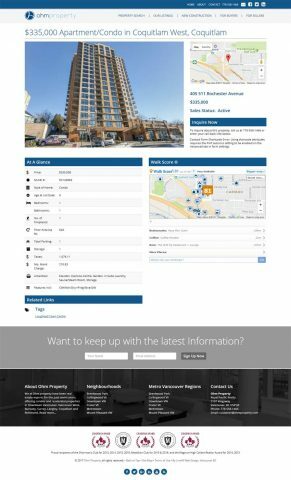 The home page hero area features a two-tab, dual-purpose search widget that is completely original to this project. The first tab interfaces with an advance propery listings and search system, described below. It has predictive search that allows the visitor to type a word into the widget and receive instant search results (like Google search) rather than click to another page. 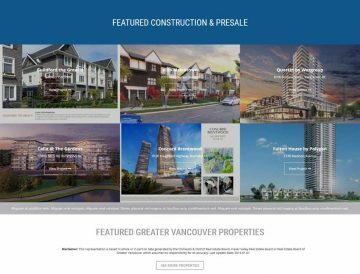 The second tab allows users to switch to searching custom Presale Condo listings entered by the realtors. These two powerful searches are combined into one elegant tabbed block. 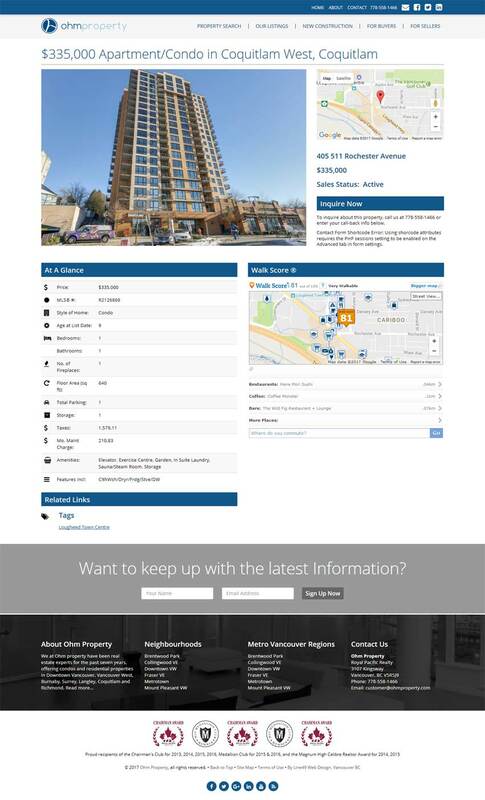 The Property Search interface is the centrepiece of this project. It is custom-integrated with the Real Estate Board of Greater Vancouver’s MLS listings database, and therefore houses many thousands of listings. 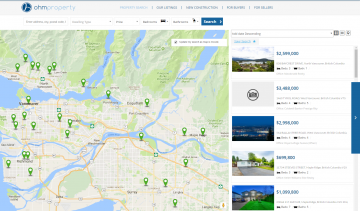 The system pulls new listings from the MLS feed automatically on a regular basis. The default view on this page is a seamless map, with search controls (filters) above in a tidy toolbar. Clicking a side button releases a panel containing the listings seen on the map. The listings system allows users to register and save a custom search, which optionally alerts them via email when new listings are added. 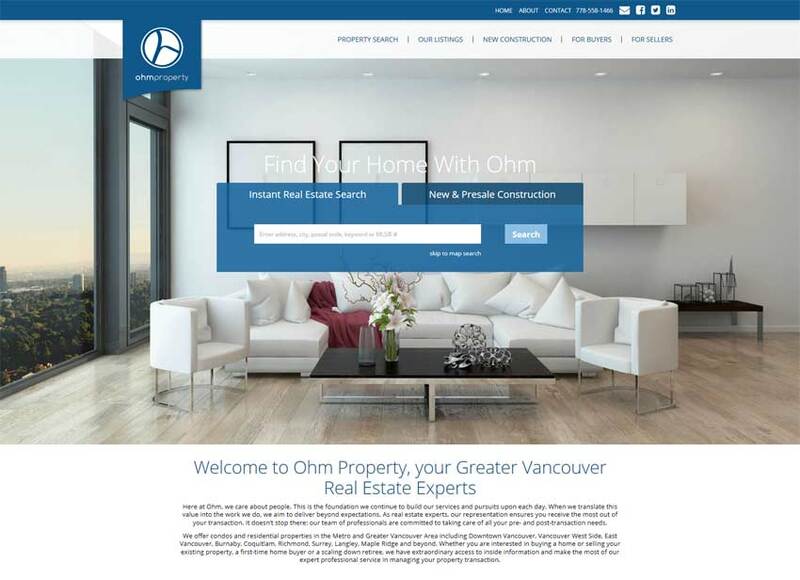 Aside from the MLS search system, there are sections featuring the realtors’ own featured listings, entered by hand for maximum customizability and SEO value. These listings are presented on a map, then a tidy image grid. 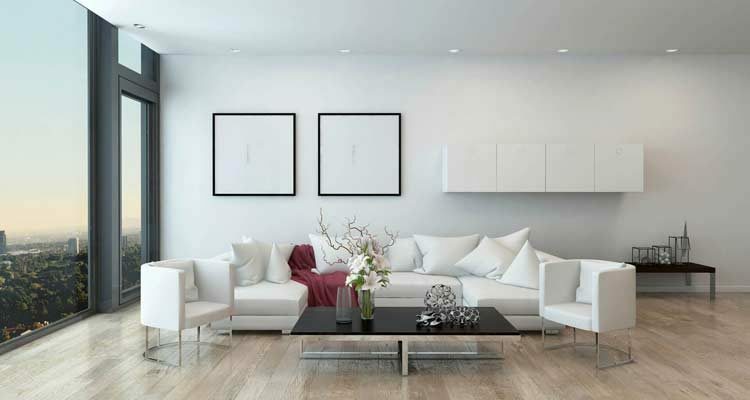 A collection of Presale Condos is also self-managed by the client and presented similarly.